'Inside of Bowyer's Tower', dated 1830. 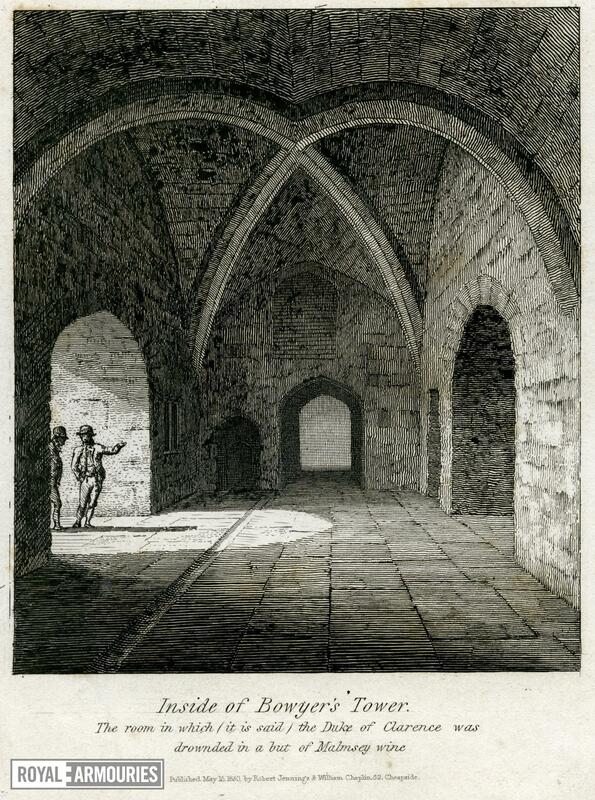 Print showing a vaulted room in the Bowyer Tower, Tower of London, with two figures in the entrance archway. Published May 15 1830 by Robert Jennings & William Chaplin, 62 Cheapside.' Plate 8 of the 2nd (8vo.) edition of John Bayley 'The History and Antiquities of the Tower of London',(London, 1830).